Guiding Harbor has a variety of volunteer opportunities available. If you are interested in sharing your skills and talents, we can connect you to an opportunity where you can make the biggest impact! For groups that are interested in a project, we have lots of ideas and we need your help! Beautification projects (painting, gardening, etc. ); child care at our events; service projects; host a card party. If you are interested in volunteering call 734-697-7242. Mentoring relationships are a shared opportunity for learning and growth. Many mentors say that the rewards they gain are as substantial as those for their mentees. Have fun; Improve self-esteem; Make a difference; Improve your understanding of what others experience. Improved performance in school; decreased likelihood for using drugs and alcohol; increased participation in sports and other extracurricular activities; improved work performance. If you are interested in becoming a mentor call 734-697-7242. Thank you for considering a donation. Your generosity is very much appreciated. 525 E. Huron River Dr. Please fill out a donation slip when you bring your donation. 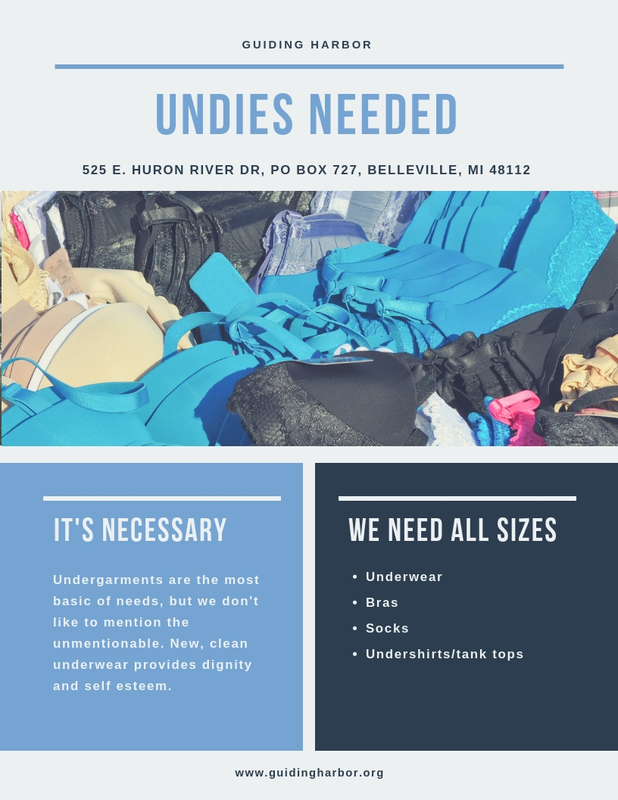 Please contact us at 734-697-7242 if you have any questions about donations or if you need more information delivering your donation. We do NOT accept used items of any kind. We CAN accept newly purchased stuffed animals with tags still attached. Please do not include food items (snacks/candy) in activity bags or gifts. We are unable to use VHS tapes. We need to see all items before they are distributed, so please do not wrap gifts for children. Please make sure you check all hand sewn items to remove any needles or pins you may have used during construction. We cannot accept donations of toys with weapons or violent themes such as guns, knives, swords, or other projectiles. This includes guns with styrofoam or plastic bullets. If you would like us to do the shopping and purchase items from the Wish List, you may make an online donation. 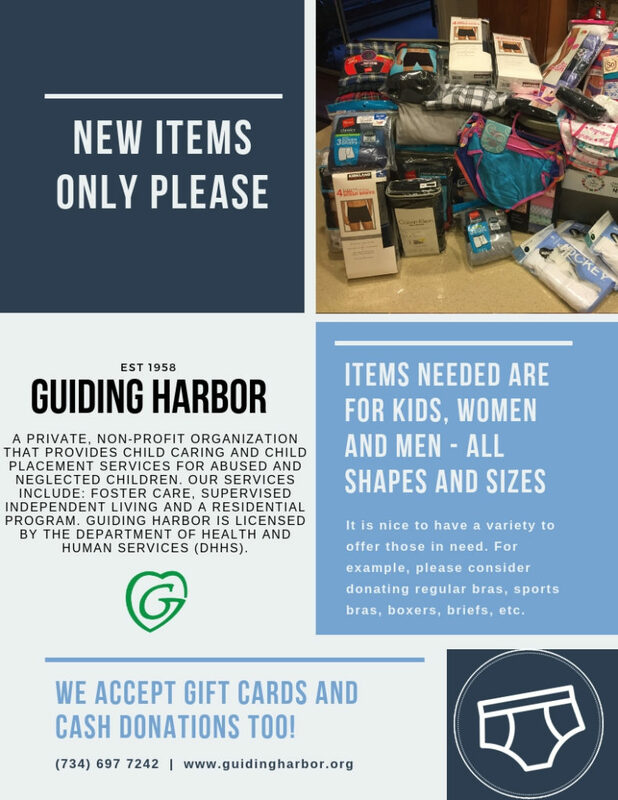 Guiding Harbor is a private, non-profit organization founded by the General Federation of Women’s Clubs, Michigan, and licensed by the Department of Health and Human Services.